"Update" Thank to everyone who has graciously offered my parents a place to stay. Luckily my brother's home has survived, and they have decided to stay with him while they rebuild their lives. When this first happened my mom said she felt she had been erased and no one noticed. She has been in much better spirits seeing these responses. 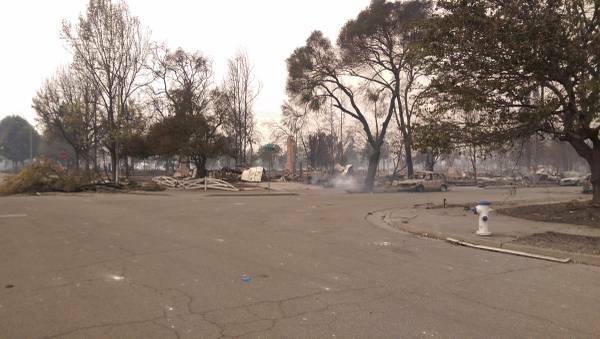 My parents lost their home in the Tubbs fire yesterday. They almost did not make it out alive and left with their dogs and what they were wearing. They have nothing left. Both of them work in Santa Rosa full time. They are not looking for anything for free. They are just looking for some hospitality or some privacy. They are currently staying at the Sheraton in Petaluma. After searching all day yesterday they were lucky to book this hotel after many reservations were cancelled. In their worst or times the hotel and many who were not affected by the fire have not been at all hospitable. If anyone reading this has an air bnb rental or anything my parents can rent, they would greatly appreciate it. I am hoping there is someone out there who can make them feel welcome or just give them as much privacy and space as possible. They were homeowners who had just finished remodeling their home themselves, across from Coffey park, when it was all taken away within hours. Seeing my mother cry while she closed her burnt mail box, the only thing left standing, was something I will never forget. Please contact me if you have an available rental outside of the evacuation areas or know someone that does. Thank you.